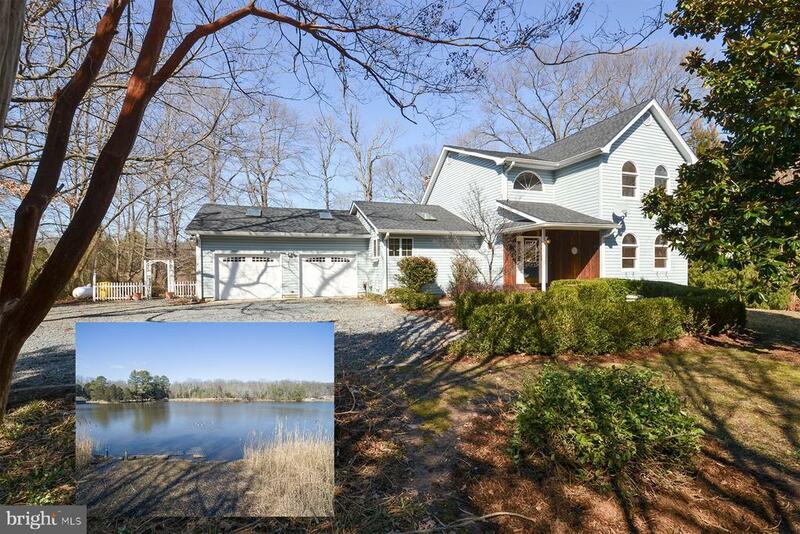 Great 3 bedroom, 2.5 bath home in private settings with lovely water views of Deep Cove Creek, perfect to explore in a canoe or kayak. Home has first floor master bedroom, large living room with wood stove, bright and spacious sunroom, eat-in kitchen plus a dining room. Deck overlooks large yard with lots of plantings and landscaping. Upstairs 2 bedrooms and 1 bath. Architectural details include curved staircase and vaulted ceilings. Kitchen has stainless appliances and granite countertops. 2 car garage. Non-riparian waterfront. Community has wonderful waterfront amenities including 2 fishing piers, beach, playground and tennis court, community boat slips and boat ramp. Less than an hour to DC, Baltimore & major airports.